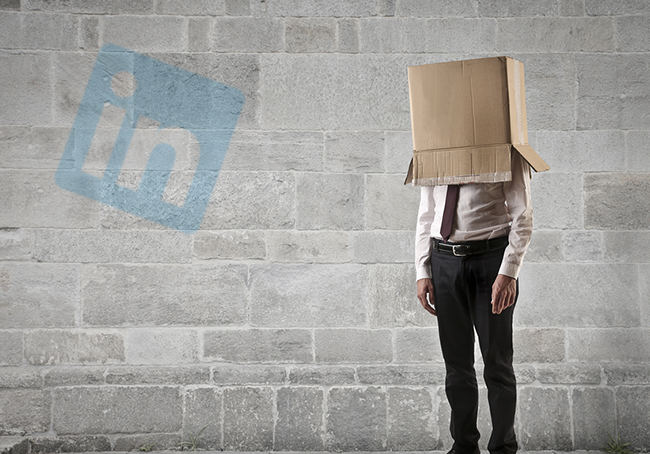 With social selling, it doesn’t really matter if a seller is introverted or extroverted. See how social tactics can be applied across all personality types. There's been a long-standing debate over whether introverts struggle with the supposedly extroverted nature of sales. Social selling has renewed this debate within the context of social prospecting. Introverts and extroverts can offer unique perspectives on the social selling process and both have ample opportunities to succeed. In fact, it doesn’t really matter if a seller is introverted or extroverted in today’s social sales world – because the primary goals and benefits of social selling can be harnessed by all personality types. Here’s why social selling works for everyone – and how the introverts and extroverts on your sales team can win sales. Shooting from the hip doesn’t work in social sales – you need to do your homework. This is an advantage for introverts, who tend to plan ahead and lay out their case before making initial contact. It may be more of a learning experience for your extroverted team members who want to dive in. For the introverts: Promote their natural preparation traits, and encourage them to share their prospecting processes with the rest of the team. Compiling extensive data through social listening, prospect feedback, and trend tracking can help evolve the selling process to better target prospect needs and make a good first impression. For the extroverts: Nurture their natural excitement within the context of a developed social strategy. They may want to reach out to a prospect immediately, but caution them against moving too fast without enough information. Have your extroverts build their online reputation by participating in discussions on LinkedIn Groups, working to appear on the prospect’s radar before the selling process begins. Introverts and extroverts both benefit from long-lasting relationships with clients – and every relationship is built on trust between both parties. The tactics might be slightly different – but the payoff will be the same regardless of your team’s personality styles. For the introverts: Encourage them to develop a strong 1:1 relationship with a primary client contact. This helps them build trust without becoming overwhelmed with multiple contacts. Introverts are strongest in close, small relationships, so have them focus on a single contact while the extroverts cast a wider net. For the extroverts: Promote the multi-threading approach to social selling. Extroverts thrive in larger communities, and you’ll want to ensure that you have multiple connections at the prospect company to help gain support for your product/solution and safeguard against a stalled sale if one contact leaves the company. Regardless of your team member’s personality style, social selling is always easier when the prospect knows the sales person they are working with is authentic. This calls to the hearts of the sellers themselves – if they are true to their own styles, then they won’t appear fake to the prospect. For the introverts: Encourage them to understand their strengths – if they try to venture too far out of their comfort zone, it may appear like they are trying too hard. An introvert might be more willing to spend additional time developing strong copy for a LinkedIn InMail -- just to make sure it has the right tone for the prospect. For the extroverts: Encourage them to lead discussion within LinkedIn Groups – this will build their own reputation and promote activity within the community. As extroverts collect comments from prospects and audiences, have them include introverts in responses to promote the whole team as thought leaders. Introverts and extroverts have different paths to solve problems, but every path that satisfies a client concern is a valid one. Introverts have natural traits in analytical problem-solving, while extroverts hold the persuasive traits to convince stakeholders. For the introverts: Have them ask questions and take notes when problems arise – and leverage them to re-establish connections with cold leads. Even the coldest of leads can be reignited on social media, and the in-depth, 1-1 nature of introverted communication can rekindle the relationship. For the extroverts: Extroverts might tend to act quickly to solve problems – talking to as many people as possible and gaining insights for immediate action. Have them be prepared for common problems in social selling campaigns with a list of resources. This list can be shared right away when a problem arises, but it contains enough research to show that your team thinks strategically. Wherever your team leans introverted or extroverted, there are social selling strategies to match the personality makeup of all team members. Now, if your prospects are introverted -- then you'll need to adapt your traits to be like them. See how in this post, and connect with us @LinkedInSelling for more social selling tips.